Post your best photo of the year. to look at this past year, so many favorites. But in the end, I had to choose this one. and waiting patiently to get the shot. 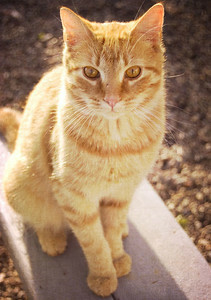 This entry was posted on Friday, December 9th, 2011 at 11:47 amand is filed under . You can follow any responses to this entry through the RSS 2.0 feed. You can leave a response, or trackback from your own site. Fantastic photo – such a beautiful bird! This morning was the first time that I saw three Western Bluebirds in my backyard – what a great beginning for a Friday! Gorgeous capture and such beautiful color. i’m totally picturing you in the bushes and laughing hysterically….but it was worth it, as this photo rocks !! Knowing you hid in the bushes makes this even BETTER! sug, i don’t know how you ever decided. but i’m glad you showed your work – you’re right: hard to ignore the bluebird of happiness right outside the bush. What a beautiful shot! Thanks for sharing with all of us! I so love this photo and post! 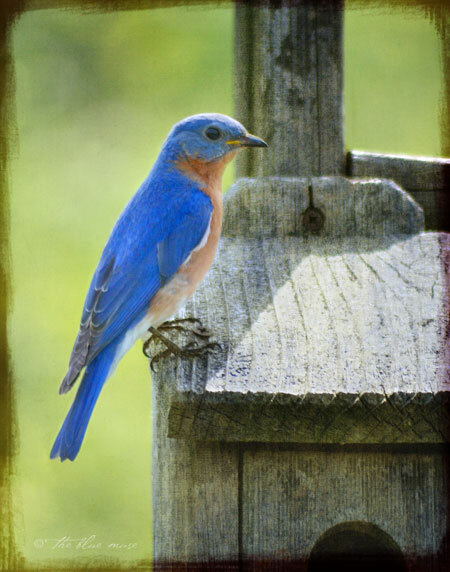 I have never seen an actual bluebird … glad to know they are still out there, that there’s a possibility one will land in your yard.